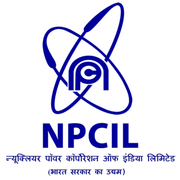 NPCIL Recruitment 2018 - Apply Online for 90 Trade Apprentice Posts in Department of Atomic Energy, NPCIL, Maharashtra on Apprenticeship. Online Applications are invited by Nuclear Power Corporation of India Ltd. (NPCIL) from 10 Sep 2018 to 10 Oct 2018 for 90 vacancies. Eligible candidates may apply online at NPCIL's website (direct link is given below) from 10 Sep 2018 to 10 Oct 2018. After applying online applicants need to send the application form (attached below) along with Enrolment/ Registration no. as indicated in web portal and self-attested photocopies of Documents Mentioned below to Manager (HRM), Nuclear Power Corporation of India Limited Tarapur Maharashtra Site, Tarapur Atomic Power Station 1 to 4 PO: TAPP, Via: Boisar (W/Rly) Tal. & Dist: Palghar PIN: 401 504, Maharashtra. The application with all relevant documents should reach on or before 10 Oct 2018.